Independent Venue Week has come once again. With the recent closure of The Moon Club, Dempsey’s, and Glam nightclub up for sale, celebrating the week surely seems to be more important than ever. However, the music lover should not be too downbeat, as Gwdihw, Clwb Ifor Bach, Buffalo, Undertone, and its newly developed adjacent establishment, The Big Top have got a wide range of events in store, celebrating and exhibiting all that makes their independence wonderful in the music scene. 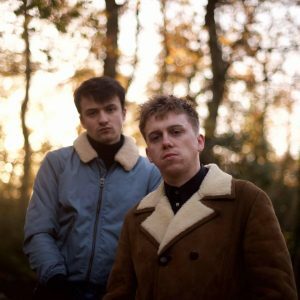 Kicking off the week alternatively on a Tuesday, Gwdihw are supported by the independent promoter label Luckyman Records, who are presenting the headlining band ‘Fossette’. With a promoter like Luckyman, expect a lot of entertaining and catchy indie-rock, a great way to start the week. ‘Beans On Toast’ are playing Clwb on the Wednesday as part of their non-stop week-long tour to celebrate the week especially. A cautiously optimistic folk band, guaranteed to keep feet tapping, heads nodding and cheerful sing-alongs with chorus. If folk isn’t really your thing then Undertone are promoting a more pop-punk genre with ‘American Graffiti’. Alternatively, Gwdihw are holding the EP launch of the up and coming producer ‘5th Spear’. His sharp, electro beats promise to deliver slow, enchanted grooving. Perhaps a great warm up for the brand new night Buffalo are launching: ‘Entropy’. It is described as an ‘all-encompassing tribute to some of the very best dance & electronic music Planet Earth has yet produced’. Maybe Entropy is Buffalo’s answer to a demand for an independent and alternative Wednesday club night. Thursday is another jam-packed music night covered by all venues. 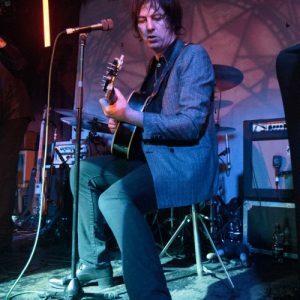 Clwb boasts to hold ‘Jim Jones & The Righteous Mind’, formed after ‘The Jim Jones Revue’. A must-attend for anyone who wants to have a head bang and jump around, especially with the hiphop Brooklyn Zoo club night taking place afterwards. Gwdihw promote ‘The Wolfhounds’, a brassy indie band with a nostalgic heart, a great compliment to the ears, while Buffalo have their biggest Shelter DJ night yet, Number 06:Fish. Meanwhile, The Big Top is breaking into the Independent Venue scene with ‘Dream Wife’ holding a sleek, seductive sound. Friday starts with ‘Temple’ at Undertone, and ‘Cirque du Samba’ at The Big Top. Clwb finish their week here with hard hitting lyrics and rhythm from ‘Future of the Left’ followed by their classic and popular Zerox club night, while Buffalo is going garage with the club night Bassline. Yet it is Gwdihw which claims the most exciting night this Friday. Dr Syntax and Pete Canon take to the stage, a deluxe hiphop duo which will be undoubtedly provoke the biggest grooves of the week. 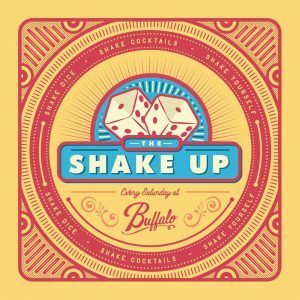 Buffalo are open until 4am with their ‘Shake Up’ club night, guaranteed to fulfil any R&B, funk, and soul needs. Yet Undertone seem to be the bigger pull, they’re going house with ‘Honey Dijon’ a Chicago born artist, while upstairs The Big Top are holding ‘Johnny Cage & The Voodoogroove’s Rock n’ Roll Revue’, very different genre’s but both a delightfully intriguing. Gwdihw, too seems to be shaking up their Saturday with ‘Typesun’ and ethereal electro producer, influenced with jazzy notes. At the end of a musically stimulating week, I would recommend heading over to The Big Top on Sunday and finishing Independent Venue Week there. With music from voices such as Benedict Benjamin, Rhain, and Joseph J Jones, expect to be soothed and mellowed with their exquisite sounds. Rounding off a fantastic week in store, Independent Venue Week in Cardiff should be a fantastic display of all the best the city has to offer. Post by Eleanor Stephens, Head of Music.